← China: Zhè shì měilì de, fēngkuáng de! While in China, I went back and forth on whether or not to go back to Thailand or to head directly to Nepal. While I knew that heading back to the south of Thailand in June would mean one coast was in the middle of monsoon, Steve and Louise would be there so it was certain to be fun regardless of weather. I had met them in Hoi An, Vietnam and travelled with them for a while from there. So, I decided to fly from Beijing to Bangkok and get a very long train, bus, boat combo (a great experience all on it’s own) to get to Koh Phangan island to track them down. On my second day on the island, we were able to meet up and I was introduced to 3 of their friends from home. 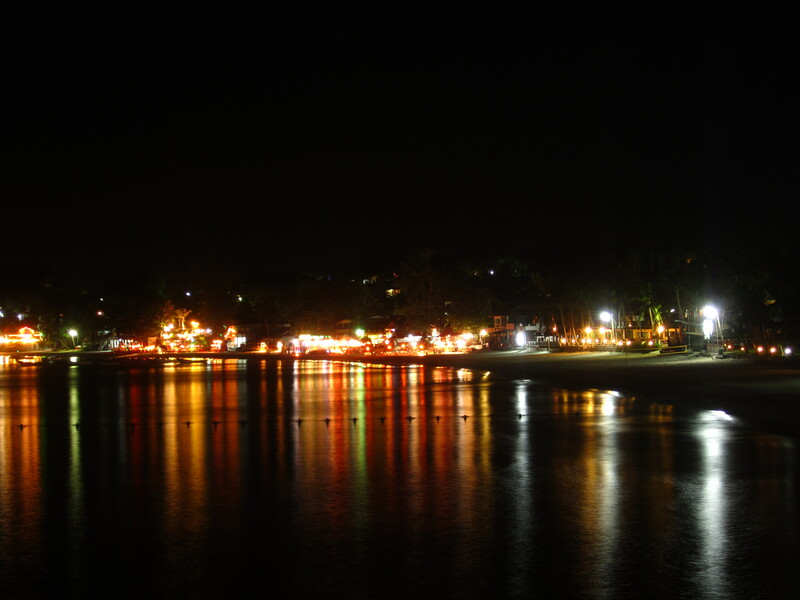 The 6 of us had a great time roaming the beach of the world famous Full Moon Party, doing a sort of limbo, playing games and of course sampling a few beers. 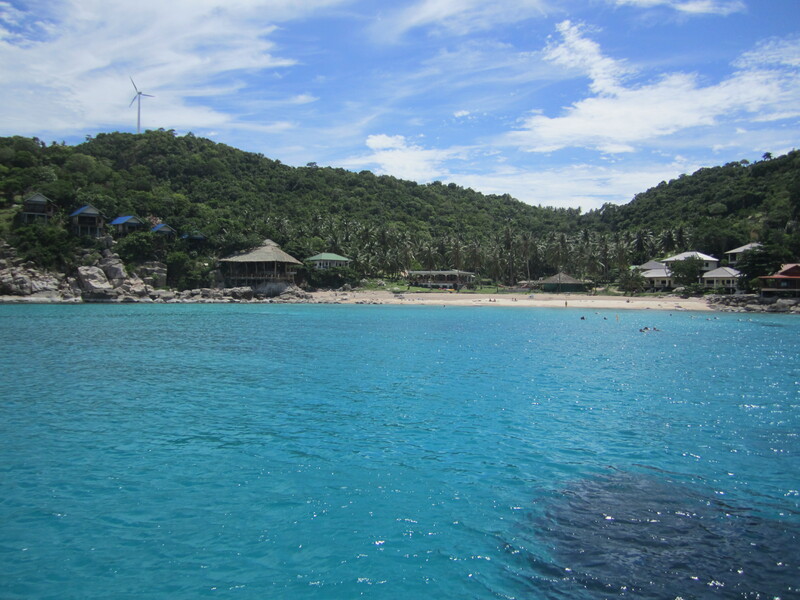 After a few nights, the others had to head back home, so Steve, Louise and I got on a boat and headed to Koh Tao. When we arrived, we found accommodation with the ever unique Mr. J and headed to Crystal Dive (the most awarded scuba school in the world) to sign up and met Mike, our new kiwi island guru. 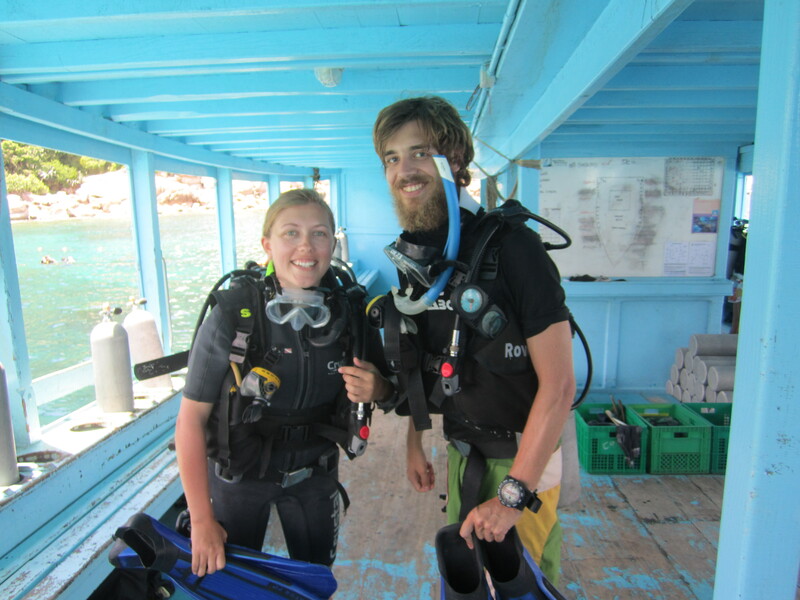 Unfortunately, because of health I wasn’t able to dive, but Mike invited me to tag along on the boat and snorkel while the others dropped to the bottom of the ocean. Our first day our was amazing! We headed to Mango Bay and Japanese Garden dive sites in beautiful weather and I got to do some of the best snorkeling I have ever experienced. Once we finished up in Japanese Garden (still anchored) we looked up and saw a wall of spooky grey heading our way. It was a mixture of wind and water whipped up and coming across the water like a stampede headed right for us. We all just sat and stared at it, kind of held in a bit of rapture. Then it hit and we were all knocked back to our senses and into action. The first to arrive was the wall of wind, which hit us on the side, ripping the roof off the boat and tossing it into the sea along with anything else that was not completely secured. At that point, we all jumped up and headed for the shelter of the dry deck walls while we watched the rain seem to swirl around us, coming from all directions and even then, managing to change directions. We waited in this for a while, but soon had to leave to head back to land which meant heading into the roughest of the waves and getting thrown about, bending and tilting at the whim of the sea. We seemed at times to be ready to roll, but the boat kept rebounding. There was a commotion on the deck as some others divers were stuck in the water too far from their boat to make it back. There was a short rescue mission and shortly afterwards, the waves slowed enough that I started to see the humour in the situation again. The next few days were filled with additional incredible snorkeling trips, cheering on Steve and Louise in their diving, lounging on the beach, lounging by the pool, eating amazing Thai food and reminiscing about my time spent at the dropzone (a scuba school is very much like a skydiving school in atmosphere and shenanigans…see pictures of the snorkel test). However, Steve and Louise’s days on the island were numbered. We spent our last day together hiking over to a few of the more remote beaches, eating as much as possible and watching a very homemade-feeling fireworks show. The next morning, we hugged and waved and I watched them disappear down the street before turning back to the beach. As sad as it was to see them go, there was something big going down today…literally. 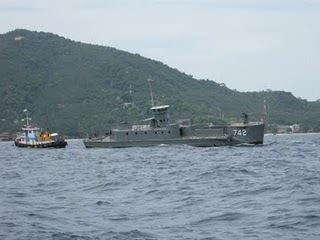 The Thai Navy had donated a ship to be sunk and used by divers. There was to be a big ceremony with press, dignitaries and some lucky divers surrounding the boat as it was sunk, beginning at 10:30am. So, I secured myself a prime spot on the deck at Crystal and waited. And waited. And waited. At one point it seemed like something might be about to happen when a smaller Navy ship sailed out to the site, but alas, nothing happened. Shortly after 12:30, I decided to head off as the weather was starting to look like rain. It seems that those sinking the boat decided the same. The decision was made to wait out the weather and sink the boat in the afternoon. However, this is Thailand and plans don’t always work out as intended. After all the VIP’s were safely back on shore, the ship accidentally sank on it’s own. But now we know that if a ship goes down in the ocean and no one is there to see it, it still goes down. After the relative excitement of that, I spent my last few days doing some more lounging, dodging a massive spider (sneaky thing got into my room just as I was about to fall asleep, which ended up not happening), hanging out with Steve and Louise’s friend Ul Rike, taking the 9 hour sleeper train back to Bangkok, revisiting temples and eating amazing food, and preparing for my big leap from Thailand to Nepal. 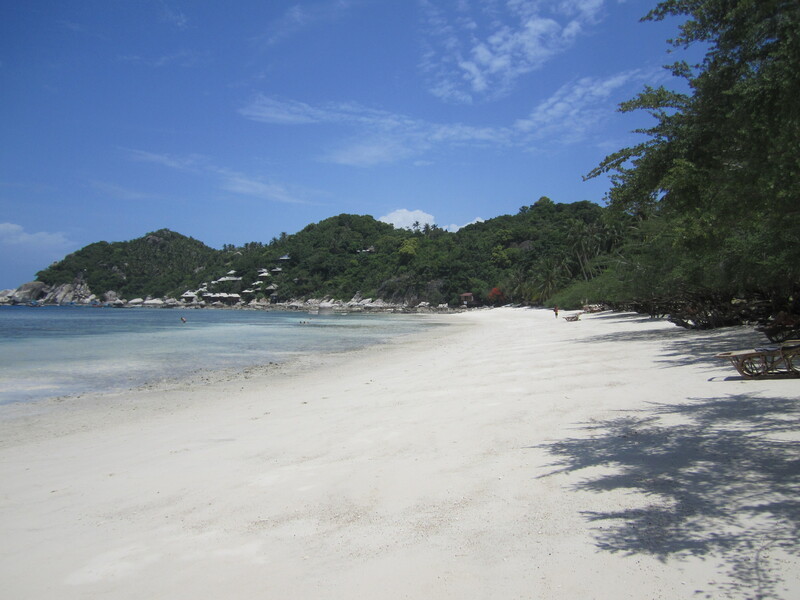 This entry was posted in Thailand, Traveling and tagged Beach, Kho Tao, Relax, Snorkel, Thailand. Bookmark the permalink. Wow – great stuff! Sounds like some great fun & excitement. Wish I were there too! Too funny about the timing of the ship sinking. Keep on posting! Love following along on the adventure. Nice chatting with you again today. Best of luck finding internet in Nepal.